Christians Go To Podcasts To Say Things They Can't Say in Church Toby Morrell and Mike McHargue are among a seemingly growing trend of ex-pastors, musicians and authors who are bucking Christian theology through podcasts. Matt Carter, Toby Morrell, and Joey Svendsen recording the Bad Christian podcast. A study by the Pew Research Center, released in 2015, shows that millennials have been leaving Catholic and mainline Protestant churches in droves from at least 2007 but they don't necessarily lose their belief in God. In fact, more than half say they're still religious or spiritual. That's the type of audience that's tuning in to McHargue's podcast The Liturgists and Morrell's podcast Bad Christian.The Liturgists has about 1 million downloads a month for some episodes and according to its Website, 250,000 subscribers. Bad Christian is sponsored by a few corporations not generally known for their religious affiliations. Among them are Lyft, Casper, Stamps.com. These two podcasts aren't unique in their approach. Similar podcasts include The Robcast, hosted by ex-pastor Rob Bell, who left his church after saying God doesn't send people to hell, and Drunk Ex-Pastors, where the hosts take a shot of an alcoholic beverage before every show. McHargue and Morrell say they grew up as Christians who didn't feel like the institutional church allowed them to question and explore their faith. They spoke with NPR's Michel Martin on All Things Considered about why they left the church, how that changed their faith, and how podcasts like theirs could be affecting Christianity. 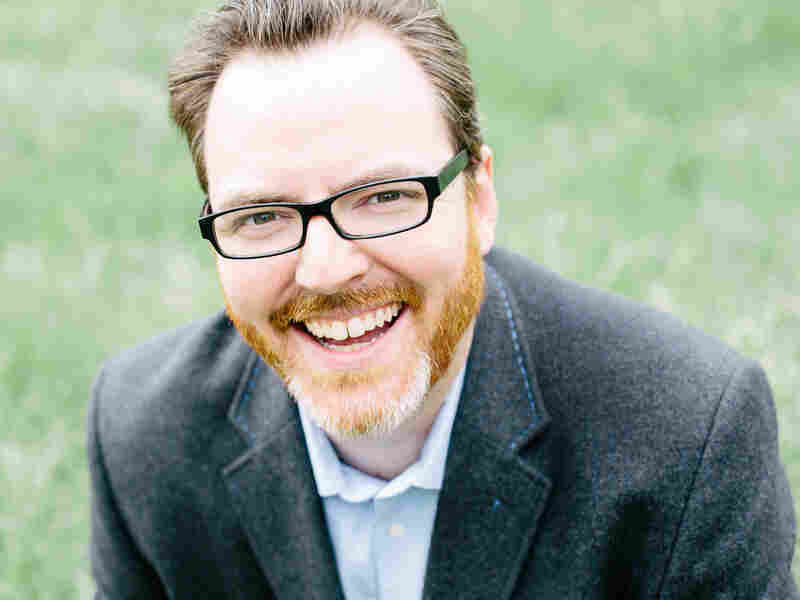 Mike McHargue, author and co-host of The Liturgists. McHargue: A lot of people have a lot of anger toward their past, but I actually loved being a Baptist. But as I grew as a person, and started to face challenges in my own life — in my particular case, my parents got a divorce after 30 years of marriage — I started to look to the Bible for answers, and the way I was taught to read the Bible started to fall apart. Morrell: My grandfather was a pastor, so I grew up in this church that was very conservative. They were so conservative, they split from other churches because they thought the other churches in the South were too liberal, and I was like "What in the world?" Christianity, in general, I would say, never represented me — I always felt like I was on the outside. The only time I felt like I was represented was actually within the Scripture. Some terrible people were heroes in the Bible. You saw some really terrible things about people's lives and personalities within the Bible, but when I was growing up in church, everybody hid that. You don't do this, this, this and that makes you a Christian. McHargue: As I explored this middle space between faith and skepticism, I found that there were a lot of people stuck in that gear too. People for whom the church was too dogmatic, but atheism was too dismissive of their need for mystery and, frankly, things spiritual. Morrell: As I got older, I realized there were people just like me. 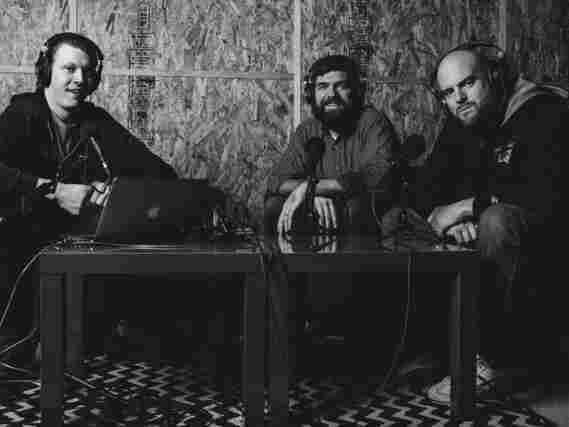 And so [Joey Svendsen, Matt Carter and I] ended up doing this podcast just because we wanted to represent, "What is it like for three friends to get together and just be as brutally honest as we can?" Morrell: We get a lot of criticism and I think that is good. That's one of the biggest critiques we have of the church — is that you can't critique it. That pastors would be hidden when they have moral failures. ... The church does a really poor job of respecting people's minds. They want to just give you everything in a pretty little package, and that is what your Christianity is. I think what we're doing is opening up a door where people go, "No, I own my faith. I'm wrestling with God." McHargue: I think that the future is both. I think you'll continue to have institutional Christianity, and I think you'll continue to have sort of a church in exile. My work is about acknowledging the validity as both as ways to know and follow this historical figure Jesus, and figure out what that means. I think everywhere people gather together around a table, God can be present.